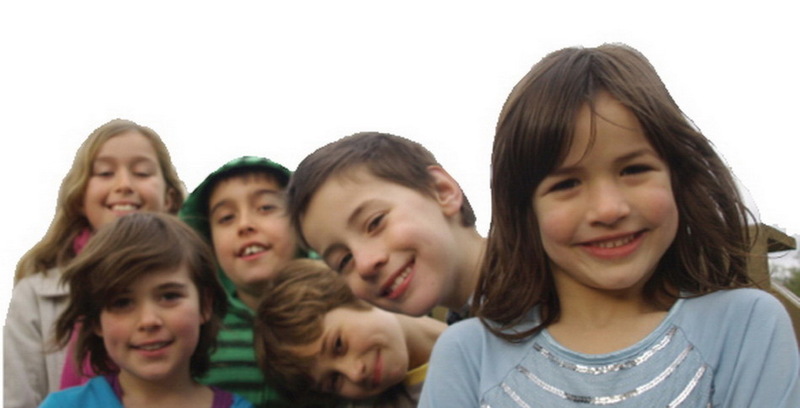 This means birth rates have increased by 21.35% since 2001. Talking to other municipalities around Melbourne it seems this has been a bit of a trend - and if that is the case, it means the ability of surrounding municipalities to take Moreland's high school overflow is going to be severely compromised. 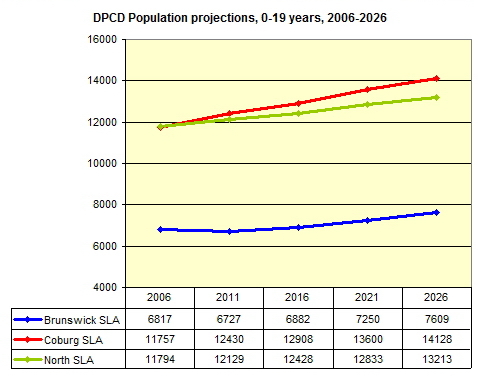 According to the Department of Planning and Community Development (DPCD) "Suburbs in time " for Coburg, in 2006, 0-4 yr olds were almost back at the level they were in the 1980's when there were many more schools in the area. As shown below, births have continued to rise since 2006 with Coburg having highest birth rate in Moreland. There has also been a big increase in tertiary educated residents, these in large part are the families who do not want to have to migrate out due to the lack of a state secondary school (as has been the pattern in these parts to date) because they value this community. There has also been a decrease in families who would classify themselves as religious, leading to increase in demand for state education. 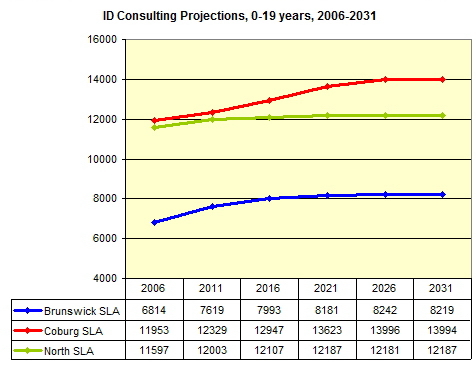 Large numbers of young people in Coburg Statistical Local Area (SLA) are hard to refute now given the similarity between Moreland's ID projections and the DPCD projections.West Preston numbers can be added to the Coburg SLA numbers for the full picture. West Preston by Census Collection Districts, drawn from Australian Bureau of Statistics CDATA. The Education Department count Newlands Primary which is actually in West Preston but not Bell Primary or Preston West. HSC argue strongly for these to be included in any analysis of the need for a high school in Coburg. Furthermore if Newlands Primary is included then the population of the suburb surrounding should also be taken in to account in demographic analysis, not just the portion attending from Moreland. Conversely, the Darebin schools mentioned above are attended by many Coburg children so should be included in school enrolment data being considered regarding the need for a high school in Coburg. The need and demand for a quality state open entry high school for the local community which is the Coburg SLA plus West Preston is here now and will definitely be sustained into the future. The graphs above show the numbers of children in Moreland are consistantly higher in Coburg SLA but all the planning and provision of secondary education is occurring in the North and proposed in Brunswick. Not good enough and not logical.How about some equity of access?